What If Nobody Could Hurt You? What if nobody could ever hurt you, ever again? If you’ve ever been in a knock down drag out fight you know what it feels like to be hit by someone. Adrenaline and other hormones cascade overwhelming your state of being as you as immediately find yourself in fight or flight. Being part of a brutal smackdown is no fun and the trauma, pain, and suffering that comes from the physical abuse can endure and cause even more suffering as you try to heal from the event over time. How curious is it when we are similarly affected by the spoken words of someone? When you feel as though someone has disrespected, insulted, ignored, judged, or rejected you, BAM! Just as though you’d been kicked in the guts, all the pain, emotional and physical with all the feelings and hormone overload. When this happens to you, those words, which cut like a knife, were likely spoken by someone you love, trust, or highly regard. They could be your partner, a family member, a child, a neighbor, someone you work with or for. Because you are more connected to these people than others in your life, their words cut the deepest, can crush you, and leave your heart bleeding in pain and sorrow. The concept, “those you care about the most hurt you the most” rings true. Interestingly enough, this concept was programmed into your psyche since the day you were born. Based on your life experience, you learned to love and depend on others. Early on, you realized that if you disappointed the people you loved and trusted to take care of you, they would turn on you, leaving you in a state of fear and suffering. That’s where it starts, and it grows as you trust and are betrayed by those who you love and care for along the way, when all you really wanted was to be accepted, respected, and loved for no other reason than you love others. Family, friends, lovers, fellow students, teachers, and others in your circle of influence. Why can’t they just love you back? We have been programmed to value the opinion of others so highly that the slightest threat of potentially not being highly regarded by someone we care about can threaten our very sense of existence. Our feelings are hurt. We can either strike back and start an all-out war of words (or worse), and if we’re unable to strike back (for fear of being hurt even worse), we find someone else who we are stronger than to strike out at to release the angst inside. Or we can find ourselves sinking to the depths of depression, even contemplating suicide as a way out of the pain. You were socially programmed to want what others want, to desire to do the things that others do with them as a part of the crowd. Giving you a sense of belonging, in the belief there is safety and security by being accepted by others, for to be alone would be potentially dangerous, or too much to bear. This social programming has been a disservice to your highest and best because you were meant for so much more than just being just another sheep in the herd. Blessed are those who were raised in an empowered sense of individuality and personal awareness. They possess the power of seeing themselves as separate, and in the best-case scenarios, also see themselves as part of the greater whole of community and humanity, though these days this represents a very small percentage of us. To expect someone to know and appreciate you for all that you are sets you up for disappointment and failure, and your feelings will always be hurt because no one can ever know and appreciate you as much as you do. Likewise, no matter how hard you try, you can’t fully “get” anyone else. So much goes on inside the heart and mind of everyone that you will never know. Just like when you are silent, your mind keeps working and think thoughts you might never convert to spoken word. There is great personal power in realizing that what anyone thinks or says about you has nothing to do with you at all. It’s about them. You know that you are always intentionally authentic, open, honest, and want the best for everyone in your life. You know you are always worthy of the best things in this life, and you would never do anything intentionally to hurt anyone you cared about. You don’t need anyone else’s validation of these things because you know them to be true. Your knowledge of and confidence in you is unshakeable. You know you can respond with love and compassion because you know that you were like that too. You are emotionally resilient and bulletproof. You are no longer a victim of anyone else’s disrespect or abuse. You don’t have to defend yourself or strike back because they didn’t actually do or say anything that could hurt you. You can bless them because you know they are just doing the best they can with what they have. Author davidmastersadminPosted on August 4, 2018 Categories BlogTags abuse, betrayal wounds, emotional freedom, hurt feelings, overcoming, personal growth, reclaim your power, victim of abuseLeave a comment on What If Nobody Could Hurt You? Whether you’re suffering from Post Traumatic Stress Disorder (PTSD), struggling with emotional pain from a recent/past relationship, or carrying some other type of heavy burden from another time in your past, this Emotional Release Method (ERM) can help alleviate or eliminate the pain from past trauma or drama in just a few minutes. I’m all about delivering the best and quickest results for my clients and I use my Emotional Release Method for clients, others I love and care about, and myself, when I need to address negative emotional anchors related to trauma or drama. The method is a meditative tap dance which releases the emotive connection to any event from your past that is causing you emotional pain and/or physiological discomfort. The pain associated with past trauma and drama can be debilitating and my Emotional Release Method can give you the relief you need to get back on your game. While my ERM is effective for disconnecting the emotional ties to deep-rooted negative feelings, and sorrow associated with distressful heartbreak, stress, drama, or trauma, it does not treat any underlying issues which may need to be dealt with and may be a part of your personal deep work, but you will experience the emotional pain relief now. To learn my Emotional Release Method, I suggest that you get to a quiet, secluded space, where you can have a bit of privacy to practice my ERM. Get a place where you can sit comfortably without interruption for a few minutes. Once you know how to perform the Emotional Release Method you can do it anywhere, anytime you need emotional relief. Before you start, reduce the definition of the source of your emotional pain to a single sentence and be as brutally honest and open with yourself about how you feel. For instance, “I hate it when my boss yells at me when I didn’t do anything wrong!” If your emotional discomfort were on a scale of 1 to 10, make sure that when you repeat your defining sentence that it evokes the highest level of emotional discomfort. In this example, we will assume your sentence (I hate it when my boss yells at me when I didn’t do anything wrong!) rates a 10 on your emotional scale of upset. Now, we can begin applying the Emotional Release Method. Sit quietly and calmly, place your hand’s open palm in the center of your chest. Take a deep cleansing breath and relax as much as you can. Pause. Take another deep cleansing breath and relax a little more. One more deep cleansing breath will get you to a place where you can initiate the Emotional Release Method. Continue to visualize and feel your normal breathing as if it were going in and out of your heart. You are going to gently and repeatedly tap four points on your face, in a sort of sign-of-the-cross fashion, starting with the forehead, followed by the chin, the bone on the outside side of your left eye, then the right. Tapping on the center of your forehead, repeat your defining sentence, feeling as much negative emotion as you can when you speak the words. Breathe in. Breathe out. Next, tapping on your chin, repeat the same words, feeling as much negative emotion as you can, associated with your word sequence. Breathe in. Breathe out. Now tapping on the left side of your left eye on the bone, repeat the sentence that represents your emotional upset. Breathe in. Breathe out. Finally, the outside of the right eye, on the bone, tap as you repeat those words again. Breathe in. Breathe out. Back to drawing a continuous circle around the area of your heart, breathe into your heart love and compassion, and breathe out anything that might be not good for you. Breathe in. Breathe out. Now repeat those words, the words that previously rated a 10 on your negative emotional scale. What number does it feel like now? If it is not down to a 2 or 3, or gone altogether, then repeat the Emotional Release Method again. You will find the negative emotions released more and more every time you perform my ERM. Now that you know how to apply the Emotional Release Method, you can do it anytime, anywhere when you need an emotional space and a sense of peace about anything that tries to slow your roll. You are now taking control of your own emotional wellbeing. If you’re having a heavy negative emotional response to any person, memory, situation or circumstance – one that causes psychological or physiological pain or discomfort – you might consider initiating the Love Balloon Method for relief. 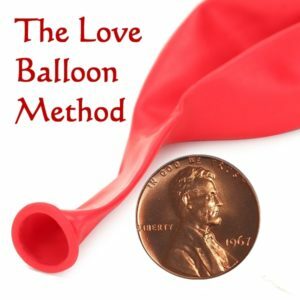 Used in my practice, the Love Balloon Method, is a simple guided meditation technique that relieves the stress and trauma of a challenging life event while retaining the lessons learned. 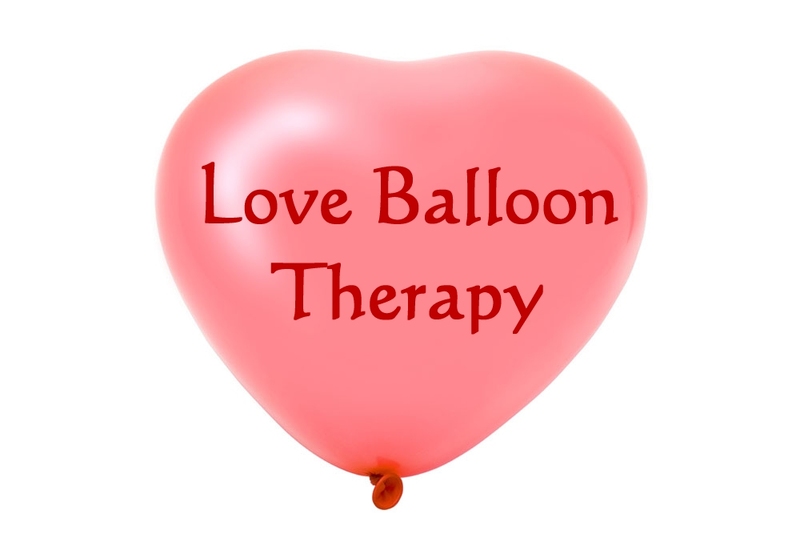 The Love Balloon Method can be an effective therapeutic process in your life and/or practice. The only props needed for this process is a penny (or any other small object to be used as a focal point, such as a crystal or stone, etc) and an unused balloon. 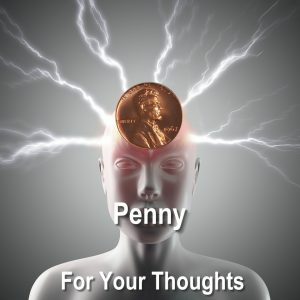 I use a penny due to its conductive properties and they are readily available, but you could use anything of a similar modest size. The balloon is used for its insulation quality and also as an active part of the emotional release process and the pin (or any sharp object) to pop the balloon when appropriate. Relax in a comfortable position and focus on the person, memory, situation or circumstance causing your discomfort. 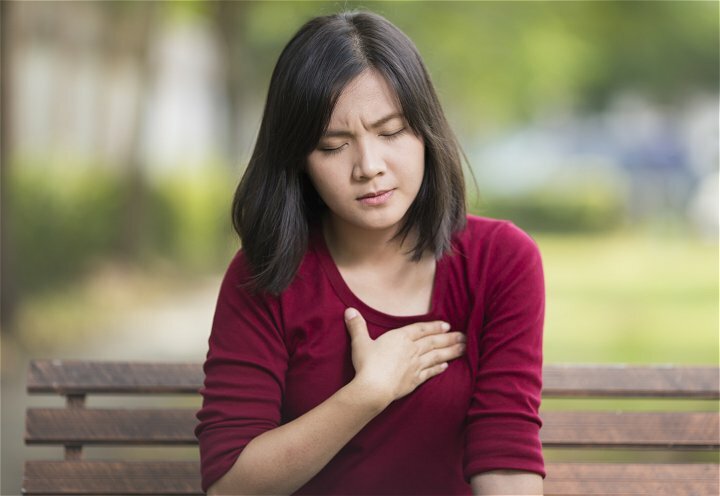 You may find the emotional impact from this event or thing disrupting your life or day at unexpected times causing you to feel uneasy, anything from mildly uncomfortable – to – sick to your stomach or other pain in your body. For this moment in time, you are simply finding a peaceful place in your mind to relax prior to starting the process as you hold the penny in your left hand, palm up, between your thumb and middle finger. When you have achieved a reasonable state of calm and peace you are ready to move onto recalling the event. Using your imagination – with your eyes closed – recall every detail about the object of your discomfort. Ramp up all the emotional impact that you can so that if on a scale of 1 – to – 10, your emotions would be as close to a ten as possible, as if you were as hurt, angry or uncomfortable as if it were happening, right now. In your mind’s eye, shrink the scene down so that you see the event in its entirety as if it were on a television screen. Now step outside of the television screen, so you can clearly see all the events taking place from outside the TV. Outside the television you remain safe from the event(s) taking place. You can view the entire scene and while it may be uncomfortable to watch it play out before you, you are separated from the scene as it plays out before you. From this vantage point, you have the remote control, and see how you can pause the scene, fast forward, rewind, , zoom in, zoom out, play in slow motion and adjust the sound of the scene. In fact, you will be surprised and/or amused at how much control you have other the entire scene. Try it now. Imagine a beam of white light beaming down from above, right down through the top of your head, passing through your head to your heart, filling your heart with the light of love and joy. Let this light flow full force and spread its glow throughout your whole body and overflow out through your feet and into the earth below. Let the television turn and spin as it is engulfed by the heavy flow of love and joy to shrink and follow the flow to the area of your heart, where it spins in the heart’s vortex of light, love and joy. Place your right hand on your heart, creating an overflow of light, love and joy recycled as it overflows from the heart, traveling through your right shoulder, through your arm, out your palm and in the area of your heart where the TV spins even more. When you are ready, right hand still on your heart, send the TV and this incredible love, light, joy and energy down your left arm and see it flow into the penny. See the penny glow in white light while the TV is locked safely inside. Take the balloon now with your right hand and stuff the penny with your event trapped inside into the balloon. The balloon is made of rubber which acts as an insulator. Safely tucked inside, you can feel the penny but cannot feel any of the emotion. Inside the balloon, it is just a penny. In the knowledge that the flow of light, love and joy, still flowing through the top of your head to your heart and overflowing out through your feet, breathe in and see your breath filling the area of your heart glowing with the light of love and joy. Use this love and joy infused breath to blow up the balloon. Repeat inhaling into your heart and blowing as your exiting breath filled with light, love and joy continues to fill the love balloon. Once the balloon is filled with all that light, love and joy, you can either pinch it or tie it off and sake the balloon. You can hear and feel your penny bouncing and rattling around inside. Imagine how silly and amusing your problems seem bouncing around inside the love balloon. Smile and increase your joy as it bounces around, even allow yourself to laugh at how funny this all is. After you have amused yourself sufficiently and realize you are ready to finally let go of the emotional impact of the event. Honor the event by allowing your mind to be able to find the goodness, the lesson and learning from having lived through this event as you release all the emotional control this person, memory, situation or circumstance had over you in love. If you are pinching the balloon, release it with the grand, flatulent sound of sudden deflating and laugh or even cheer as it is gone. Alternative, if you have tied the balloon, pop it and your problem explodes along with the balloon. Celebrate by uttering a vocal, “Wa-hoo!” or some similar phrase that makes you feel good. Do a jig and dance around the room. You are now free from the emotional impact or abuse from this person, memory, situation or circumstance. I love the love balloon.